I must confess that one of my cars is currently insured with Admiral Group, but that’s not the reason why the company’s shares sit at the top of my stock screen. The real reason is that Admiral and its shares have all the features I look for in an investment to a greater extent than any other (or at least any other from the FTSE All-Share). The ROE figure is incredibly high. In fact it’s suspiciously high and the reason is that Admiral is a very unusual insurance company. It’s unusual because over the last 10 years most of Admiral’s profits have come not from insurance, but from something which the income statement calls “other” profits. These “other” profits are made up primarily from “additional products and fees”, which includes breakdown insurance, car hire, personal injury insurance, instalment charges and fees for things like cancelling mid-term or sending out replacement documents. All of those are sold to or charged to its car insurance customers, boosting income per car by something like £70 a year. On top of that there are profits from Confused.com and other international comparison websites (which Admiral owns) and perhaps in the future there will be profits from the sale of BRIAN the Robot toys as well. These “other” profits are an area that Admiral focuses on to a much greater extent than other direct insurance companies. One way to look at Admiral then is as a lean, low-cost insurer with the primary aim of gathering as many (profitable) insurance customers as possible in order to charge them for “additional products and fees”. When I insured my car through Admiral a couple of years ago I remember being bombarded by questions asking if I wanted this or that add-on product or service. Now I know why. But Admiral takes it a step further. 40% of the business it writes is effectively written for another insurance company through a co-insurance agreement. Admiral effectively passes the policy straight to this other company so that none of the premium or claim obligations show up in its accounts. What’s the point of writing business which is then shuttled immediately off to some other company? So that it can sell that customer breakdown insurance, hire them a car or charge them some administrative fees, all of which stay as a profit for Admiral rather than the coinsurance company. Another 35% of Admiral’s business is reinsured, which is similar to coinsurance but in this case the figures do show up in the accounts. So for every policy that Admiral underwrites fully (25% of the total), there are effectively another three policies (75% of the total) that if feeds to other insurers, and three additional customers to whom it can sell additional products and charge additional fees. The result is massive profits relative to the amount of capital (i.e. equity) that Admiral needs for its own underwriting operations and therefore a massively high return on equity. Because Admiral only needs a small amount of capital on its balance sheet relative to its earnings, it can pay out most of those earnings as a dividend. 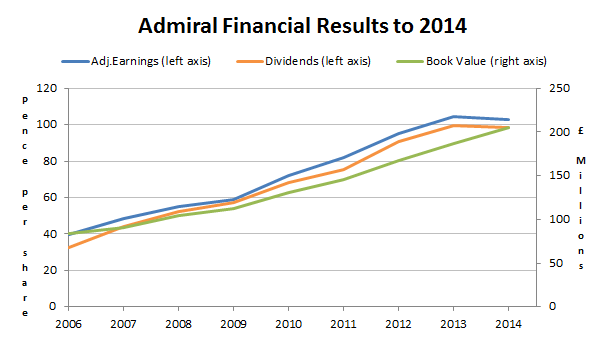 In fact Admiral pays out almost 100% of its earnings as a dividend each year and yet still manages to grow. This unusual business model certainly appears to have worked over the years. More recently Admiral has started to see profitability coming through in some of its newer international operations, which is where most of its future growth is expected to come from. If the same model works in other countries anything like as successfully as it has worked in the UK then the future may be very bright indeed for Admiral. Another unusual feature of Admiral is its dividend policy. First of all it doesn’t have a progressive dividend policy. In its most recent set of results it cut the dividend by 1% even though those results were by no means bad. We believe it is for our investors rather than Admiral to determine how they wish to invest funds surplus to the requirements of our business. We, therefore, distribute each year the available surplus over and above what we retain to meet regulatory requirements, the future development of our business and appropriate buffers, in particular, the buffer required during a period of transition between two different capital regimes. We also believe that the year on year progression of our dividend should largely mirror the movement in after tax profits, subject to any abnormal demands on our capital resources. This is a sentiment that Buffett and Munger would very likely approve of. Capital which cannot be deployed at attractive rates should be returned to shareholders. The second unusual thing about Admiral’s dividend policy is that it pays a “special” dividend every year. The “normal” dividend is set at 45% of post-tax profits and historically the special dividend has ended up at more or less the same size. 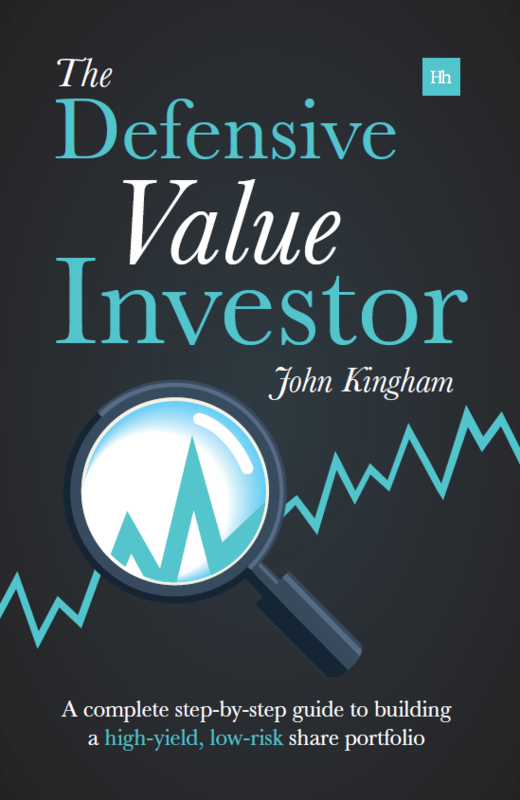 The result of this setup is that many stock market data sources only quote the normal dividend. If you look at some prominent websites (I won’t name them) you’ll see Admiral’s dividend yield quoted as 46.2p, which gives the company a dividend yield of 2.9% with the share price at 1,600p. For a company with market-beating growth over many years a 2.9% dividend sounds about right. But the reality is that Admiral’s dividend last year, including the special dividend, was 98.4p, which gives the company a much more interesting yield of 6.1%. Obviously the professional investors who drive the market wouldn’t miss something like that, but it does make me wonder. High growth and high yield, so what’s not to like? Of course I don’t have a crystal ball, and in reality neither I nor anybody else knows what Admiral can or cannot do in the future. But from its past record, and its current price, I think Admiral offers an attractive combination of high profitability and low price. Note: This post was inspired by a question from a subscriber on an earlier post about ROCE. You can also read another review of Admiral on the excellent Value and Opportunity blog. Disclosure: I have owned shares in Admiral Group since November 2013 and it is also a holding in the UKVI model portfolio. Great write up. Admiral has been on my watch list for a while. The interview with the boss on the link you’ve provided is particularly interesting. Hi UTMT, I thought that interview was really good too. I like Admiral’s management and there extremely non-stuffy approach. The CEO is always so damn cheerful, although I guess I would be too if I owned 12% of the company! Interesting write up thanks – must say Admiral weren’t on my radar previously but they’re definitely worth keeping an eye on. Special dividends the past 3 years are most impressive. Hi Weenie, well like any company it all needs to be taken with a pinch of salt, but it certainly continues to look interesting despite the recent share price rise. Hi John. Great article although I do have one query. Admiral’s PE is starting to look a bit high in my opinion. It would be interesting to hear your opinion on selling out to lock in the gains in the short term and then potentially reinvesting at a later date (at potentially a lower PE) vs holding for the longer term and potentially not capitalising on the current “high” share price? Hi Richard, that’s a good question. I hear a lot of investors say things like “I’m going to wait for Tesco to get to 200p” or “I’m going to wait for the FTSE 100 to fall to 6,000”. The problem with all of these “I’m going to wait for…” statements is that they imply a degree of foresight that I don’t think is possible. 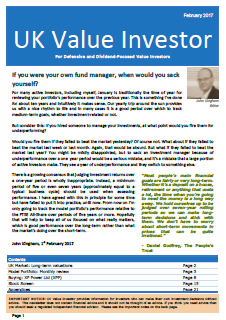 The market is pretty efficient and if it was obvious that a share was going to rise or fall then other investors will have almost invariably already spotted it. So I think selling now to lock in capital gains in the hope of buying back at a lower price in the future is simply a bet with odds that are completely unknown, or at least no better than 50/50. I guess that could be said about a lot of things in investing, but I think it most definitely applies to actions that are based on short-term share price changes. As for Admiral’s high PE, I think while it may be high relative to a “normal” company I don’t think it’s high at all for a company that has shown it’s able to compound retained earnings at more than 50% while paying out everything else (almost 100% of those earnings) as a cold, hard dividend. In my opinion that combination of high yield and high profitability trumps and weakness in its PE ratio. 2. Total liabilities have grown from £1.4Bn to £3.26Bn in the same time period. This now represents almost 10X pre-tax profits. 3. Revenue in 2010 was £574M in 2010 and £1,563M in 2015 — ie almost 3X and yet the profit numbers are only moved from £265M to £316M a growth of 19% in profit over 5-6 years. This should indicate the massive increase in risk that Admiral has to take to grow profits by 3% points a year (a modest amount), and in fact it’s peddling three times as hard for the same or a similar return. 4.The reported operating margins of 20% don’t seem to stack up with points 3. and 4. 5. Transparency. It’s difficult to understand how the accounts work in a company like this. Insurance companies are notoriously more opaque than banks and like banks, good look if you can understand a banks risk profile – governments and analysts haven’t a clue here. With this amount of leverage, any mistakes here could be costly as is the case with banks. 6. Forward P/E and PEG ratio. Admiral’s rate of growth is slowing and quite dramatically. In 2010 it had a growth of 23% and by 2013 this had declined to 10%. OK so far, but in 2014 it went negative by 2% and is expected to decline even more rapidly to -12% this year before projecting a low single digit growth in 2016. This put’s admiral on a negative PEG ratio for this year and a meaty 2.3 number for next year. The massive revenue growth for same or similar profits indicates to me that there is something wrong with the business model. But heh, one can look on the bright side and make hay while the sun shines so to speak. 1. I don’t use the gearing ratios in my analysis so for me this isn’t relevant, although I would imagine it requires some special caveats to be applied to financial companies. 2. Liabilities for banks and insurance companies are different to liabilities for non-financial companies. The liabilities for an insurance company are generally not liabilities that need to be paid back to anybody, they are estimates of their financial obligation to pay future claims, so there is no need for these most of these liabilities to be covered by profits. Instead they need to be covered by liquid assets on the balance sheet. So for example Admiral has about £2b of insurance liabilities and £2.5b of liquid financial investment. It has another £1b which it owes to its insurance partners but this is effectively part of the working capital cycle so it doesn’t factor into my liability considerations. 3. I can’t see the £1,563M revenue in 2015 (2014?) figure? Looking at the 2014 income statement it’s £1,099.7, but that’s still double the 2010 figure. Why? If you look at “turnover” instead (gross premium written plus other revenue) it has gone from £1,580m in 2010 to £1,971m in 2014, a much less significant rise of 25%, which is fairly similar to profit growth. The international business is still growing rapidly (up from £77m turnover in 2010 to £206m in 2014) but is still loss making. So the international business is contributing to turnover growth but holding back profit growth. The idea is that at some point the international businesses have enough scale to become profitable, at which point they will start to boost group profits, hopefully significantly over time. 4. Margins is also something I don’t look at (at least directly), and even more so for insurance companies. 5. I agree that banks and insurance companies can be more difficult to understand, which is why some people don’t invest in them at all. I guess I have two points to make: First, I’m not sure that transparency will necessarily tell you anything about the future. You could have the simplest and most obvious company in the world, but who knows what the economy and its competitors will do to it, or what innovations it might come up with? So I don’t mind complexity, otherwise I wouldn’t invest in vast FTSE 100 companies. Second, I agree that financial companies are more difficult to understand, so I limit myself to three financial companies at most out of a portfolio of 30 (although currently I hold one bank and three insurance companies, so I guess I must have forgotten that rule momentarily). 6. I’m not really bothered about broker forecasts and I don’t use the PEG ratio. However I do realise that growth is slowing and this is entirely reasonable give that it has gone from being a minnow to being a major player in the UK market. The UK business is unlikely to see exception growth in the future, beyond say 5% or so, and so any additional growth must come from its overseas businesses. Whether that will be the case or not is anybody’s guess. So I would disagree that there is anything wrong, although of course I could be wrong about that. As always I think the only way to really know how things will pan out is to use the magic of hindsight and look back at all this 5 or 10 years from now. Hi John, You could be right, there may be nothing wrong. On the point about transparency, I would consider it important if you can’t see where the problems are coming from. I agree, the future is equally uncertain for companies with good or no transparency in their accounts, but having more clarity helps you foresee disasters like those at RSA in Ireland which even the CEO didn’t see coming down the line. Out of curiosity, why would you preclude gearing and a declining profit margin from your analysis? On point 3, the forecasted revenue for Admiral for this fiscal year 2015, for a December end, is £1,563M but yes it’s only a forecast – but considering that this is now only 8 months away one would hope it doesn’t deviate too much from this. I get your point on the gross premiums comparison, however, being a simple guy mesen I just adopted the overall revenue numbers for comparison and this is heading for 3X compared to a projected profit that indicates only a 3% annual growth in profit over 6 years, compared to a 29% annual growth in revenue. Good luck with Admiral, I’ll be a watcher for now, despite the tempting two dividends that could be locked in in early May. Regarding gearing and margins, I just use different ratios. So for ‘gearing’ I look at the ratio between total borrowings and 5-year average post-tax profits (which I call the Debt Ratio, for want of a better name). For margins, i.e. profitability, I look at ROCE averaged over 10 years. At the end of the day there are hundreds of metrics that we can look at and you have to limit them to a few useful ones otherwise you just end up with a noisy barrage of conflicting information. On point 3, I don’t look at revenue for insurance companies, I use net asset value instead and on that measure Admiral is progressing smoothly. If the wheels do fall of the wagon and revenues turn out to be a red flag then I will of course change my approach to take account of that in future. Finally, yes I would agree the UK car insurance market is super competitive. But Admiral is designed specifically to be most cost effective than other companies by being based in Wales (lower average wage compared to London), by having a Ministry of Fun (to keep staff happy in order to reduce staff turnover and associated recruitment costs) and other such things. And most industries are super competitive, so I’m not specifically fussed about heavy competition. As long as the company is producing the results I’m after then I’m happy. And thanks for signing your Mother-in-law up as a customer. Any additional help would be appreciated (we’re about to switch our cars over to an Admiral multi-car policy, so we’re doing our bit to boost the share price!). 1) It will be years before we see the first AVs (fully autonomous vehicles) available for the public highways, primarily because of legislation; and rightly so. I guess at 10 years. 2) The car replacement rate is about 7%, so even if every single car sold in the UK was fully autonomous it would take a decade to replace the existing fleet. Assuming the proportion of AVs is 50% of all new cars (optimistic I think) it would take 10 years just to replace half the existing fleet. So that takes us 20 years out from today. 3) AVs will still need to be insured, although it could be the car manufacturer or software developer who was liable. 4) Admiral is moving into house insurance, so none of this may matter anyway. Yes, all good points, although I believe AV will be on the roads sooner than you do. The test data is truly remarkable — these cars drive way better than people do. The problems are a handful of edge cases (which as with natural language or AI may yet prove the ultimate undoing) but on what I’ve seen so far I think I’d already prefer to drive down a motorway stuffed with AV cars than all too fallible human driven ones! I was more sanguine until I heard Buffett was worried. Then again he has kept GEICO and so forth, so he can’t be *that* worried? I suppose another bullish point for you is insurance premiums might rise in the transition for those who do keep driving. Perhaps that will be what finally ends the soft market for auto insurance? I’m not sure I would describe it as a handful of edge cases! I think most of the difficult issues are yet to be worked out. Driving on a motorway is easy and already exists (see YouTube for videos of cars driving on motorways with nobody in the front, guided by adaptive cruise and lane assist). But getting around a mini roundabout with connected zebra crossings, with scooters and mums with prams left right and centre is a whole other kettle of fish. I think pedestrians and cyclists would just take the mickey and walk out into the road (or cycle where they like) and all the self-drive cars would just stop to avoid a crash. That might be good for pedestrians and cyclists but it might cause havoc with the traffic flow. I hope you’re right as self-drive cars would be very cool, but there is a long way to go yet before we reach truly autonomous cars and the traffic systems to go with them that would function well in the real world.